The Titanic departs Southampton, England, on her maiden Atlantic Ocean voyage to New York in 1912. To most of the world, the name Titanic means tragedy, spiced with romance, sacrifice and luxury. But in Belfast, where it was built, the doomed ship is a triumph of industry, enterprise and engineering. The city hopes the rest of the world will soon see it that way, too. Northern Ireland's capital, scarred by 30 years of Catholic-Protestant violence and mired in Europe's economic doldrums, is gambling on a gleaming new Titanic tourist attraction to bring it fame beyond the Troubles - and a renewed sense of civic pride. Tying the city's name to a sinking ship is not, apparently, a problem. "What happened to the Titanic was a disaster," said Tim Husbands, chief executive of Titanic Belfast, a £100 million (NZ$193.5m) visitor attraction due to open on March 31, in advance of the 100th anniversary of the ship's sinking. "But the ship wasn't." Colin Cobb, a Titanic expert who leads walking tours of the docks and slipways where the great ship was built a century ago, puts it even more succinctly: "Tragedy plus time equals tourism." Celebrating the ship and its builders is the aim of Titanic Belfast, a shiny new "visitor experience" - don't call it a museum - whose four prow-like wings jut jauntily skyward beside the River Lagan on the site of the former Harland and Wolff shipyard. Titanic, then the world's largest, most luxurious ocean liner, left this spot on April 2, 1912, eight days before its maiden voyage from England to New York. 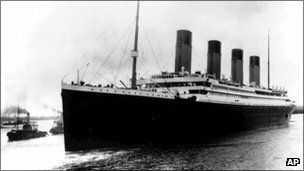 The vessel touted as "practically unsinkable" hit an iceberg off the coast of Newfoundland and sank in the early hours of April 15, 1912. More than 1500 of the 2200 people on board died. Belfast mourned - and then, for decades, kept quiet about its link to the tragedy. 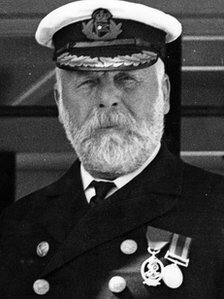 "When she sank, it was a huge shock for the city," said Susie Millar, whose great-grandfather Thomas Millar was a deck engineer who perished aboard the Titanic. "For years and years it wasn't discussed. But now, coming up to the 100th anniversary, we've rediscovered that pride in the ship and we're sharing those stories again." Almost 80,000 tickets have been snapped up to tour the world's largest Titanic attraction when it opens in two weeks. Operators of the £90 million Titanic Belfast, which has been built in the derelict shipyard where the ill-fated liner was constructed a century earlier, say they are delighted with the interest the centre has generated. They have also revealed that their banqueting suite, which is themed on the White Star Line's first class dining facilities, has already had almost 200 bookings, representing £1 million of business. After three years in construction - the same time it took to complete the Titanic - the eye-catching building, already an icon on the Belfast skyline, is on course to open on schedule, ahead of April's centenary of the sinking. As workers add the finishing touches to the six-storey venue, which at 90 feet is the same height as the Titanic's bow, the owners have given a sneak preview of what waits in store for visitors on opening day on March 31. The centre, which hopes to attract 425,000 visitors in its first year, tells the story of the Titanic through nine separate galleries, each devoted to a different aspect of the tragedy. (AP) SOUTH PORTLAND, Maine - Researchers have pieced together what's believed to be the first comprehensive map of the entire 3-by-5-mile Titanic debris field and hope it will provide new clues about what exactly happened the night 100 years ago when the superliner hit an iceberg, plunged to the bottom of the North Atlantic and became a legend. "With the sonar map, it's like suddenly the entire room lit up and you can go from room to room with a magnifying glass and document it," he said. "Nothing like this has ever been done for the Titanic site." The mapping took place in the summer of 2010 during an expedition to the Titanic led by RMS Titanic Inc., the legal custodian of the wreck, along with Woods Hole Oceanographic Institution in Falmouth, Mass., and the Waitt Institute of La Jolla, Calif. They were joined by other groups, as well as the cable History channel. 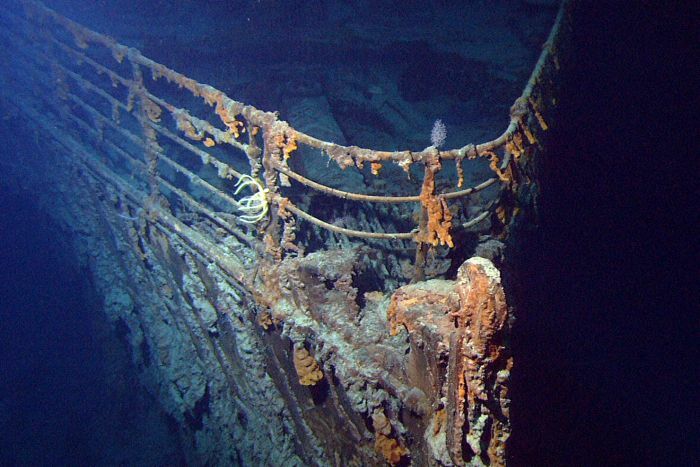 Details on the new findings at the bottom of the ocean are not being revealed yet, but the network will air them in a two-hour documentary on April 15, exactly 100 years after the Titanic sank. A RANGE of events is being organised in Cobh this year to mark the centenary of the sinking of the RMS Titanic , but one of the most tangible links between the town and the historic ship is in danger of being lost. A 19th century wooden pier in Cobh, formerly Queenstown, where 123 passengers boarded tenders taking them to the Titanic , is in a perilous state and some experts are warning that unless funding is provided the pier is likely to collapse. Some uncertainty remains over the ownership of the pier, known locally as the Heartbreak or White Star Line pier, which was used by generations of emigrants who left Ireland from Cobh. While the nearby White Star Line office has been renovated and turned into a visitor attraction, uncertainty remains over the future of the wooden pier. Maritime historian Vincent McMahon says the pier is hugely significant in historical terms. “In the past, tenders always carried passengers from this pier out to large liners. “Passengers went through the office, now the Titanic Experience, walked onto the pier and then got on to tenders and were brought out to their ships.” Mr McMahon says Cobh has been slow to preserve such an important aspect of its maritime past. “I can never understand how this wasn’t top of the agenda for years. In Belfast they are restoring everything they can in relation to the Titanic. “There has been uncertainty in Cobh over whether or not the pier belonged to the White Star Line building, or to the shipping lanes. Nobody has been able to prove who owns it,” he says. Marc Anderson, project director of Titanic 100 Cobh, which is planning a series of commemorative events, says: “I believe that pier should be protected. I know some persons are looking into it, but as far as I know it is currently at a stalemate. At present, the pier is not on the register of protected structures and Cobh Town Council says it has no funding available to carry out any works to the pier, which could cost upwards of €350,000. Town clerk Pádraig Lynch says the council is looking at what funding options are available. Ultimate Titanic has recently opened its Titanic Merchandise store. Here you will find a huge collection of Titanic Memorabilia including books, clothing, home wares, jewellery, Music and video and heaps more. Did you know that you can actually purchase an authentic Titanic Dinnerware set made by Royal Derby the exact same company that produced the original crockery for Titanic 100 years ago. Treat yourself or buy a gift for a friend to commemorate the 100th anniversary of Titanic Sinking in our online store. Of all the newsworthy travels in the history of the travel industry, perhaps none is as famous at the voyage of the Titanic. As USA Today reports, 2012 is a special year for Titanic because the 100th anniversary of the sinking of the colossal ship will take place on April 15. Not to let the anniversary pass without any type of notoriety, at least three separate cruises will honor the Titanic. What cruises are scheduled for the Titanic? The MS Balmoral will depart from Southampton, England, on April 8, and follow the exact route the Titanic followed to New York; however, as Titanicmemorialcruise.co.uk states, that particular cruise is sold out. According to the website, a mini-cruise will also depart Southampton, with stops in Liverpool and Belfast, which are two important cities to the Titanic. However, a third cruise will depart April 10 from New York, exactly 100 years after Titanic sailed from Southampton. What activities will take place on-board? 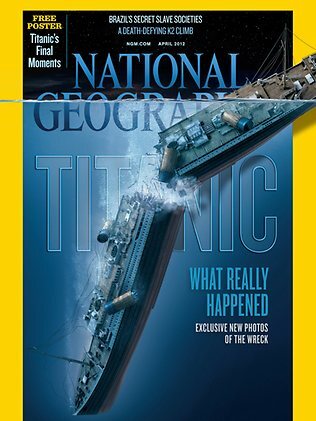 According to MSNBC, experts will be lecturing on various Titanic topics. 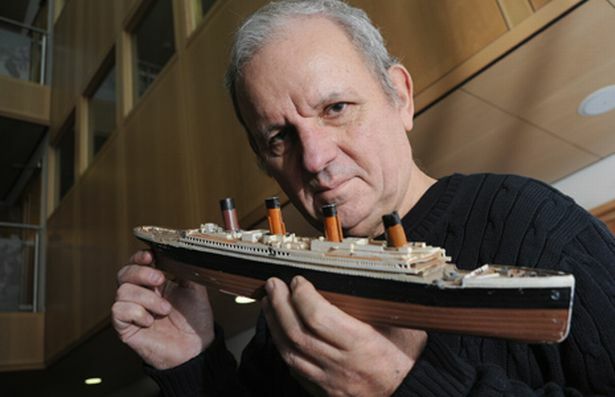 As the article indicates, a few of the lecturers have personal ties to Titanic. In addition, menu items that were prepared on Titanic will be served on the new cruises, as AOL Travel reports. As the MSNBC article indicates the cruises were designed to replicate the experiences of the passengers on the original Titanic. In addition, the report states 1,309 passengers will be on the MS Balmoral, which is the same number the Titanic carried. What is taking place to honor the victims of the disaster? The MSNBC report states both ships will make stops in Halifax, Nova Scotia, to visit the cemetery dedicated to unclaimed victims of Titanic, and both will make stops above the final resting place of the ship in the Atlantic Ocean as well. However, the article also states passengers will also be allowed to honor the memories of family members in their own way. Are there any other Titanic related events? The 100th anniversary of the tragedy will be marked in several different ways. 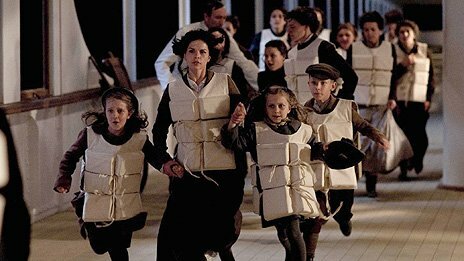 According to SFGate.com, perhaps the most notable nontravel related Titanic event is the April 6 release of a 3D edition of the classic "Titanic" movie, and an auction featuring 5,000 artifacts from Titanic will also be held on April 11. Between the auction, movie and special cruises, 2012 will be a special year for family and friends of any victims or survivors of the disaster. Jason Gallagher is a former travel professional with a decade of experience in the industry. He remains an avid traveler and hotel fan with exposure to technology and trends in properties across the United States.